As I type my fingers seem to be springing from the keys with a little extra vigour and glee. To set the scene for you it’s 5pm on a Tuesday night, if I look out of the window it is still light! That can only mean one thing, winter is receding and it’s all plain sailing to Spring (Please don’t blame me when the blizzards hit next week). 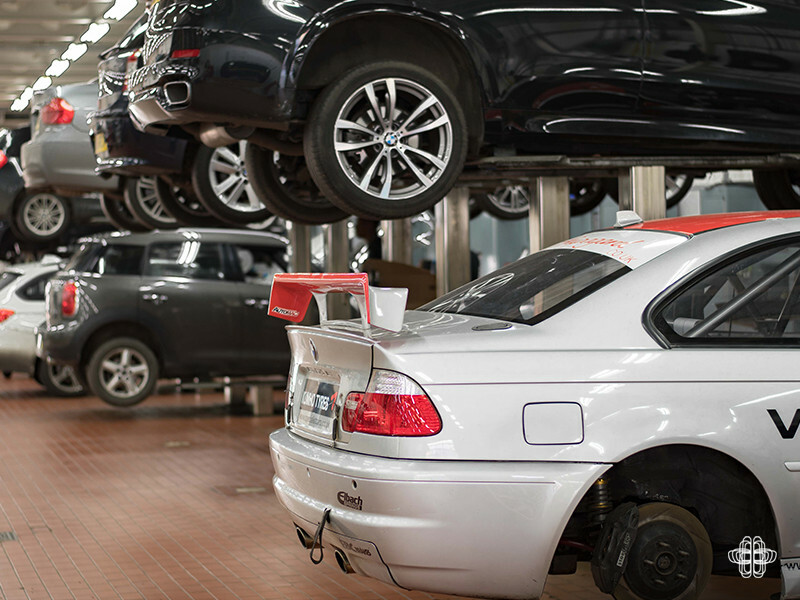 In garages all over the country men and women are frantically working on their race cars in preparation for the upcoming season. 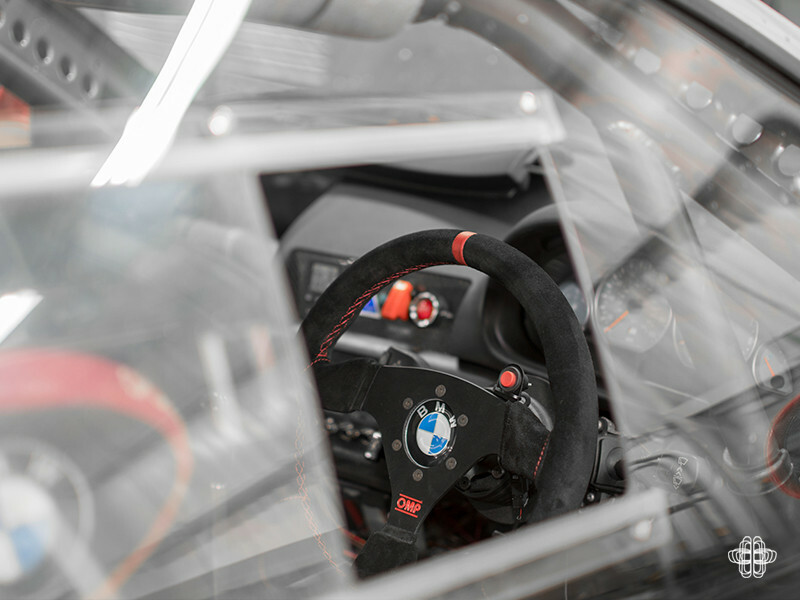 AnyM have renewed our sponsorship with Paul Travers in the Kumho BMW Championship and we checked in with him ahead of the new season. 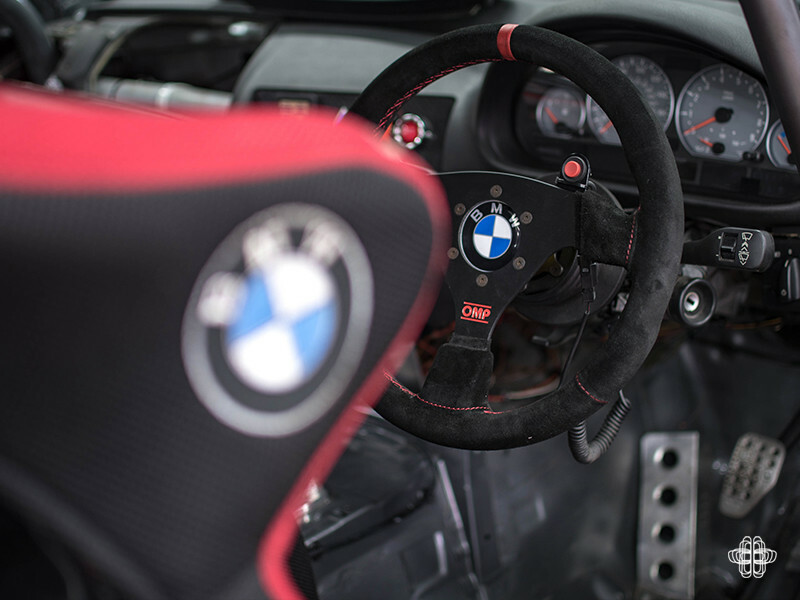 You may remember that when we caught up with Paul at his class-winning weekend at Snetterton last year, we said it was going to be his last in the Red E36 328i. Well it was. 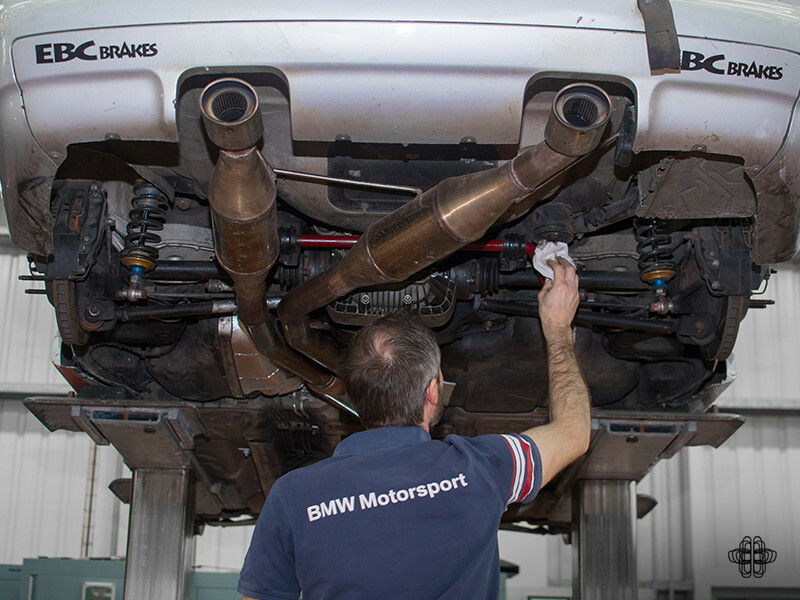 Over the winter he has upgraded and has now acquired an E46 M3 from Automac. I went to see Paul hard at work on his day off desperately trying to get the car ready to go for its first pre season test at Brands Hatch. When I got to Specialist Cars I thought we were going to get some nice static shots of the car ready to go. But when Paul came to the service reception to pick me up he was wearing an oiled covered t-shirt and had the unmistakeable patina of brake dust all over his hands and up his forearms. This was not going to be a final shoot of the car. I had arrived just as he had finished the brakes and was about to start to take the differential out the car. He was a man with a lot to do. 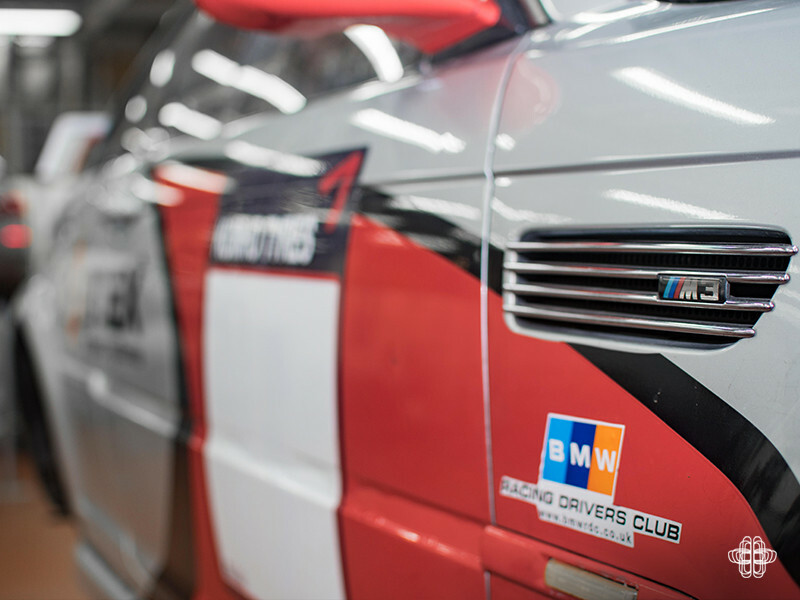 On first seeing the M3 it looked the business. It was in pieces, but the business none the less. 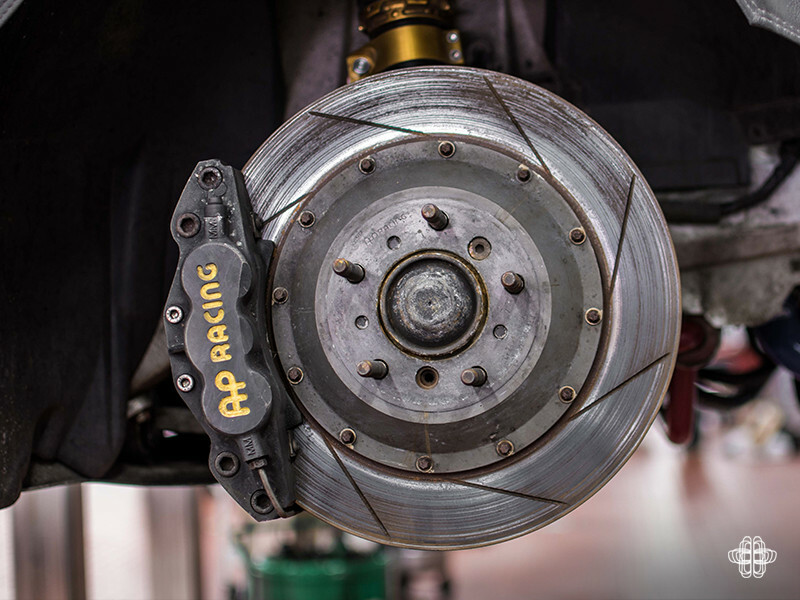 The brakes were the first things that I noticed, 6 piston AP calipers on the front and 4 piston Stoptechs on the rear with huge AP vented discs all round. The original gearbox has been removed and a 5 speed from a 328/330 has been fitted. 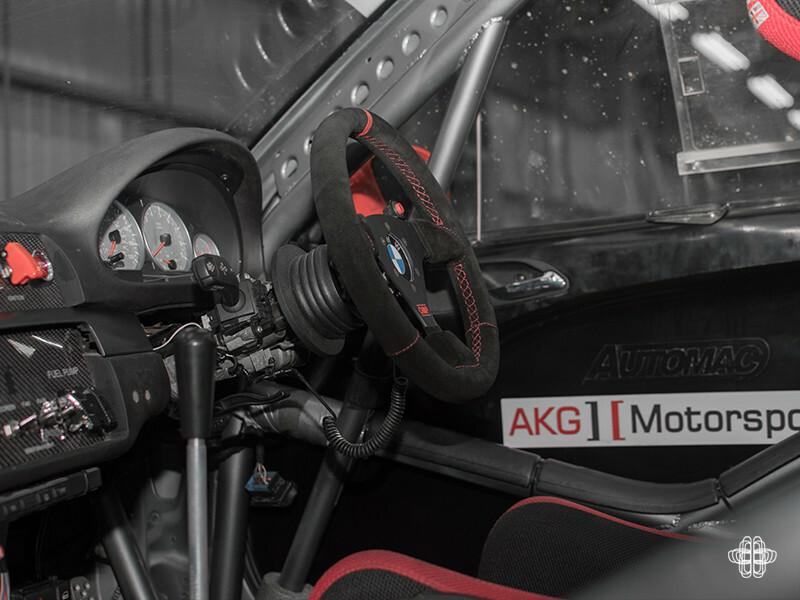 Suspension and steering components have all been refreshed and given a new lease of life with AKG Motorsport parts. 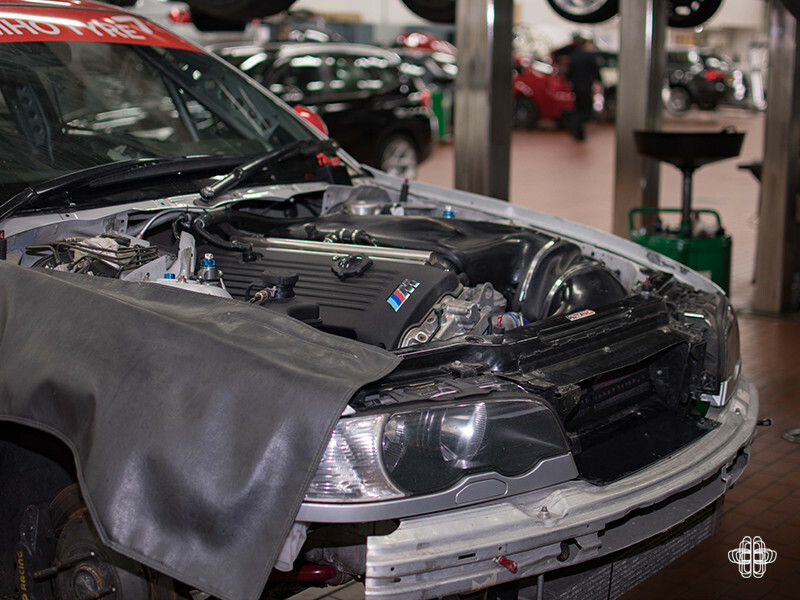 The engine is the original 3.2l S54. 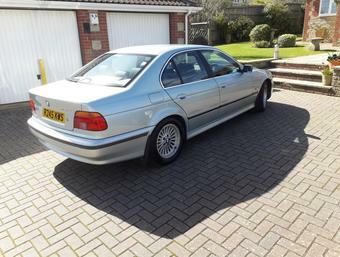 It has been given a good inspection and service but by and large is in its original form. 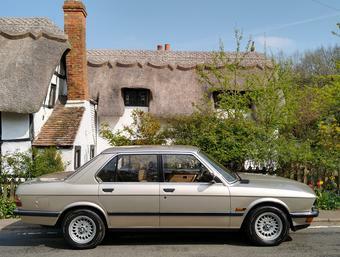 We all know what a racy and reliable engine that is in original trim. The interior has been completely removed and in its place a fully fitted cage fills the cabin. 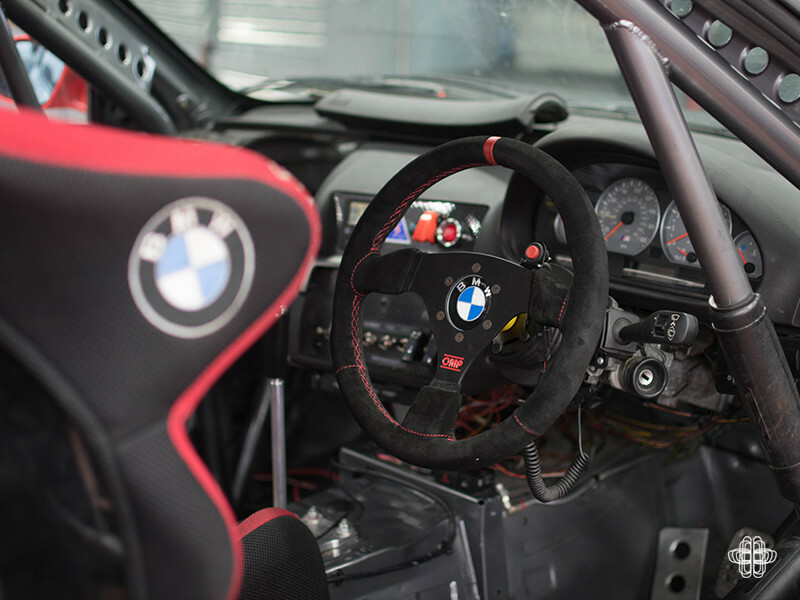 Those of you with a keen eye will have noticed that in a nod to the old 328i Paul has kept the steering wheel and will be using it in the M3. Perspex windows have replaced the old glass, obviously as a safety feature, but also for weight saving. 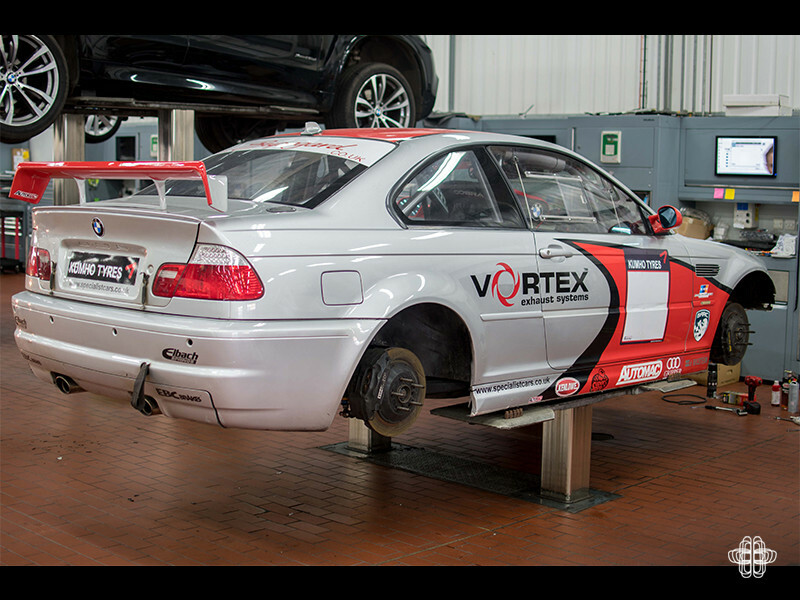 The cage is a necessity but does add over 50kg of weight to the car. 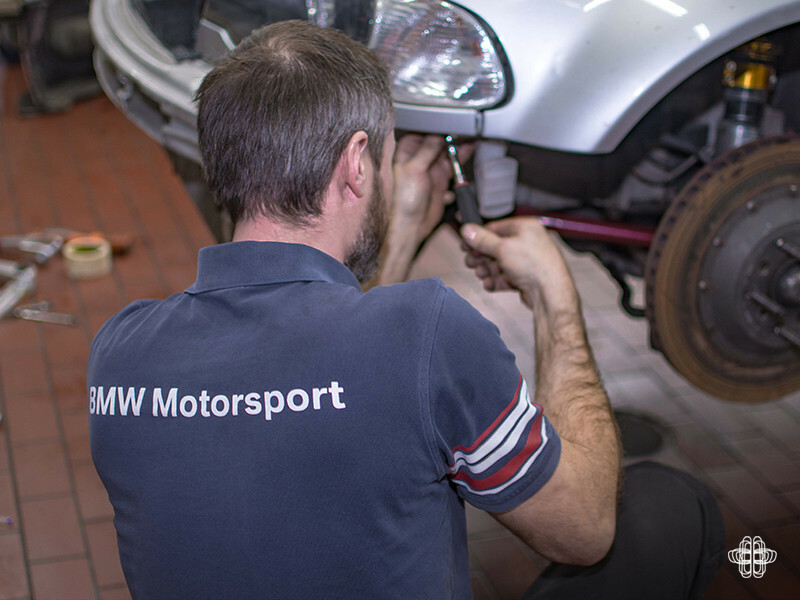 Paul has a very keen eye for detail and no stone is being left unturned in the preparation of the E46. Not forgetting cosmetics. Before the season opener at Brands Hatch on the weekend of 25/26th March you can expect the car to have been fully “Paul’d”. 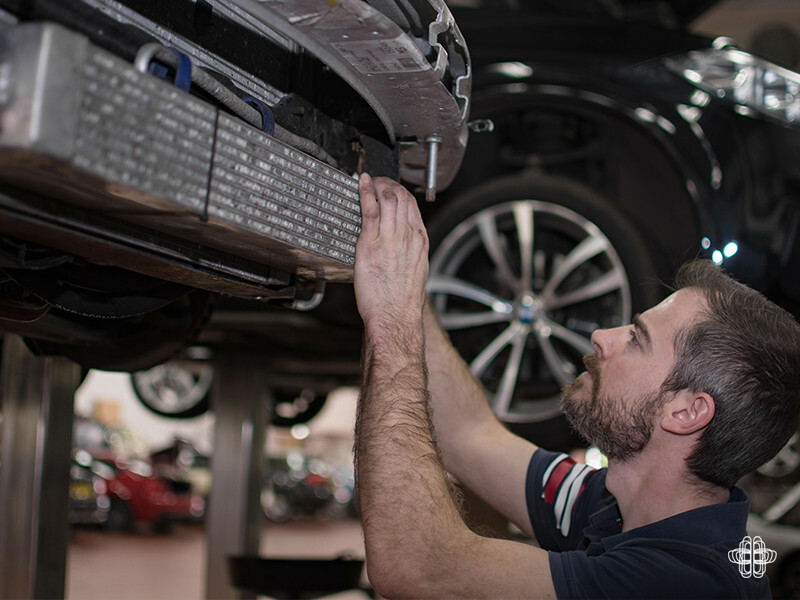 While there is nothing wrong with the way the car looks, if you saw his old red 328, you’ll know unless the car is immaculately turned out, Paul won’t be happy. While we were talking the list of cosmetic improvements was almost as long at the mechanical ones, dents removed, livery changed, and a possible respray to name a few. This year he’ll be racing in A2 class. 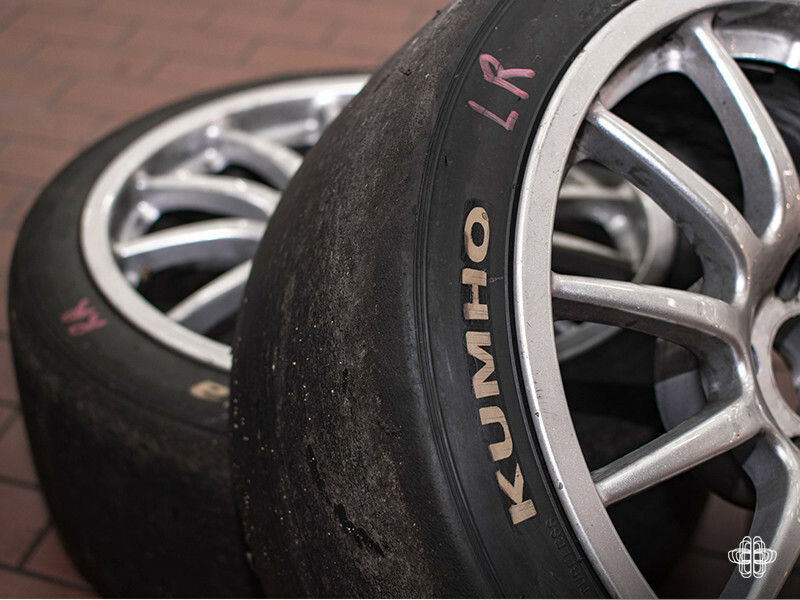 This is for the higher-powered cars running on treaded Kumho tyres. 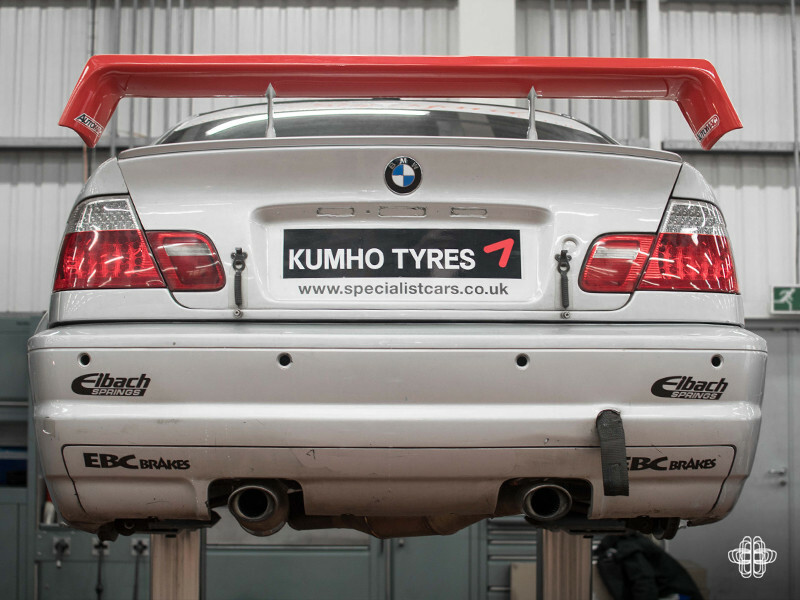 If further sponsorship comes forward then he may be able to run fully slick race tyres and compete for an overall championship win in class A1. 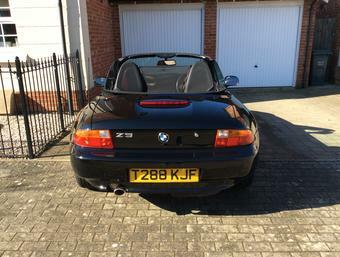 We’ve all seen that episode of Top Gear where Clarkson buys an e36 328i and races it at Lydden Hill for the cost of playing golf. They conclude that you can start racing for around £1500, however to be competitive you’ll always end up spending far more. Paul is looking for further sponsorship, so if you would like to advertise on the car we can certainly put you in touch to discuss opportunities. I’ll be joining Paul at Brands Hatch at the preseason test day to see how the car fairs in its first shake down. Keep an eye on AnyM on Friday evening for an update on how the car performed. Here’s to a great 2017 season.